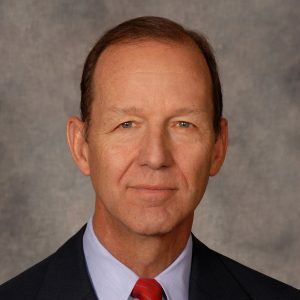 Theodore Roosevelt IV is a Managing Director in Investment Banking at Barclays, based in New York. Currently, he serves as Chairman of the firm’s Clean Tech Initiative. Mr. Roosevelt joined Barclays Capital when it acquired the North American assets of Lehman Brothers in September 2008. He started work with Lehman in 1972 as a general banker in domestic corporate finance. In 1977, following Lehman Brothers’ merger with Kuhn Loeb, Mr. Roosevelt was assigned to the International Department and also worked in the Firm’s Government Advisory Group. He joined the Short and Medium Term Corporate Finance Department in 1982 and was appointed manager of the department in 1985. He was named a Managing Director in 1984, and, in January 1991 he was asked to focus on the development of the Firm’s international business. He was elected Chairman of the Board of Directors of Lehman Brothers Financial Products Inc. in 1994, and Chairman of the Board of Directors of Lehman Brothers Derivative Products Inc. in 1998. In February 2007, he was appointed Chairman of Lehman Brothers’ Council on Climate Change. Mr. Roosevelt received his AB from Harvard in 1965. Immediately following, he joined the Navy as an officer in Underwater Demolition Team Eleven. Following his active duty, he joined the Department of State as a Foreign Service Officer. In 1972, Mr. Roosevelt received his MBA from Harvard Business School. Mr. Roosevelt is Board Chair of the Center for Climate and Energy Solutions (C2ES), Secretary of The Climate Reality Project, a member of the Governing Council of the Wilderness Society, and a Trustee for the American Museum of Natural History. He is also Counselor, China-U.S. Center for Sustainable Development and served as a board member of the League of Conservation Voters for nine years; three of which, he served as the Chairman. Mr. Roosevelt is also a member of the Council on Foreign Relations, the Economic Club of New York, and a Governor of the Foreign Policy Association. At the Republican Convention in 2000, Mr. Roosevelt gave the speech on the environment. He gave the keynote speech at the National Governor’s Association Annual Meeting in 2001 as well as the keynote address at the Governor’s Conference on Climate Change in April 2008 sponsored by Yale University. He spoke at the Conference of Parties Climate Summit in December 2009 in Copenhagen, sponsored by the European Union Parliament. Most recently in May 2010, Mr. Roosevelt gave a keynote speech at the International Cooperative Conference on Green Economy and Climate in Beijing organized by the National Development and Reform Commission, Ministry of Science and Technology and National Energy Administration. He was an Advising Committee Member on the MIT study “The Future of Natural Gas”; and the on the Advisory Committee for the Council on Foreign Relations Special Report “The Future of US Special Operations.” Currently he is a committee member for the National Academy of Sciences on Accelerating Deployment of Clean Energy Technologies.